The fundamental difference between Unified Divorce and all other approaches to ending a marriage is, in a Unified Divorce, both parties use the same attorney. Parties hire a Family Attorney, instead of separate, individual attorneys. This is similar to businesses having one attorney to protect the interests of the company, instead of advocating for individuals or shareholders of the business. You will likely spend less money. You can reduce negative impact on your children. You may experience less fighting, anxiety, and stress. You’ll enjoy increased legal privacy during and after your divorce. You can create a holistic resolution that sets your family up for a healthy future. You can design an agreement that is fair, legally sound, and protects your rights. You will be more likely to stay out of court, now and in the future. Unified Divorce respects the family in Family Law. Unified Divorce operates under the premise that a couple can hear the same legal advice from one attorney, weigh the pros and cons of their individual situation, and proceed in an honest and forthright manner to maintain the integrity of the family, before and after the divorce. The goal of Unified Divorce is to provide a healthy, financially conscious, and honest way to divorce that is legally sound. Unified Divorce saves costs by eliminating litigation and miscommunication between the parties. Also, by fostering an environment of legal education and by working together to create a resolution that benefits your entire family, Unified Divorce produces outcomes more likely to succeed over the long-term. The communication process used during a Unified Divorce ensures all issues, important to both parties and the rest of your family, are genuinely considered and discussed. By helping parties to communicate, together and separately, with the family attorney, Unified Divorce empowers you to create a comprehensive resolution. By working with only one attorney, Unified Divorce maintains the highest level of privacy possible during divorce. The process eliminates paper trails, public pleadings, and opportunities for people, who once loved one another, to cause unnecessary damage to the other’s emotions or reputation. Unified Divorce protects clients by mandating a high level of training and certification for attorneys that exceeds the requirements of the state attorney regulations. Before we get into the steps in the Unified Divorce process, know that having one attorney for both parties is legal. Individuals have the legal right to enter contracts by their own choice. If you’d like more information about the legal principles that make Unified Divorce possible, please visit our FAQ. Now, let’s progress through the process of a Unified Divorce. 1First, select an attorney certified to practice Unified Divorce, qualify to pursue a Unified Divorce, and sign a representation agreement. For more detail on what it takes to qualify for a Unified Divorce, visit our FAQ page. 2Next, answer a written questionnaire that explores your fears, your anger, the reasons for divorcing, any financial concerns, and your goals to divorce successfully. If children are involved, the questionnaire covers each parent’s desires for their children. 3Then, meet with your family lawyer to openly discuss your separate responses to the questionnaire. Also, learn about the legal process and plan how to leave your marriage in the healthiest and most financially savvy way possible. Communication is key, and Unified Divorce not only encourages, but demands, open and honest dialog during one of the most difficult times in your life. 4After thoroughly understanding the perceptions and desires of the other party, appreciating the law, and what is reasonably fair and equitable, design a reasonable and mutually agreeable timeline to complete your divorce successfully. Consider the desire for a quick resolution and the need to process the divorce. C. Each parent’s availability and desire to parent. 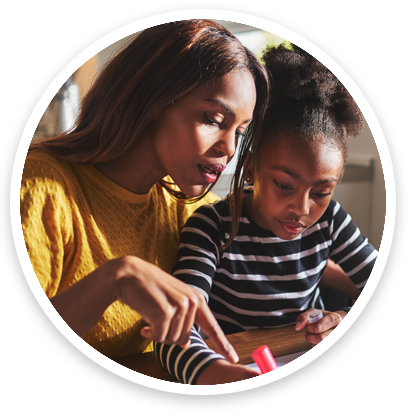 6When parents can sit down and discuss what is best for their children, open and honestly, they minimize the impact on their children and set them up for a successful and healthy future. 7Unified Divorce practitioners believe, while your personal needs are important, instead of hyper focusing on the overnight schedule or losing your kids, the focus is on the best interests of your children. 8After reviewing the financial disclosures of each party and considering the parenting issues, your attorney will draft a settlement agreement. After review of the first draft, meet with your attorney to discuss any changes and negotiate the final settlement. 10While rare, and at odds with the fundamental principles of Unified Divorce, if disagreements prevent final settlement, each party may meet with separate attorneys to come to a final resolution or litigate what they cannot settle. 11Upon agreement and resolution of all matters, the parties will execute the pleadings necessary to divorce legally, sign the separation agreement and parenting plan, and file all of the court documents at once. The Unified Divorce process often eliminates the need for court appearances and helps spouses come to their own, mutually agreeable resolution. © 2019 Unified Divorce - All rights reserved.